I loved reading Anna's diary, even the mundane stuff. Have you thought about finding someone in her family or the historical society where she lived? 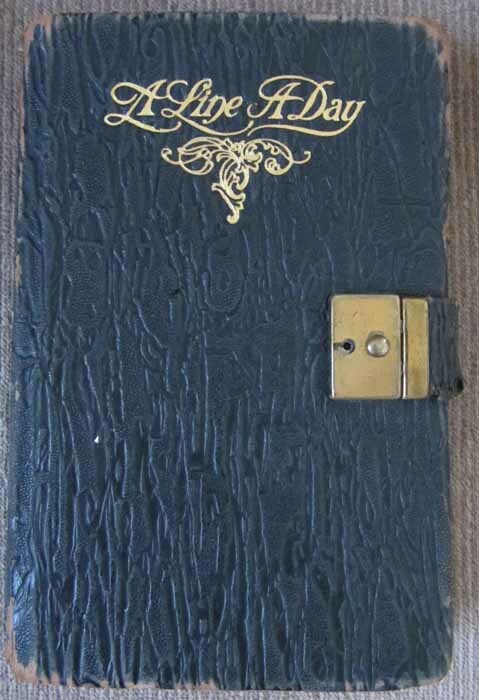 I also found Anna's diary very interesting. I did do a lot of research on Anna and her family. I was a member of Ancestry.com and was able to dig up some facts. 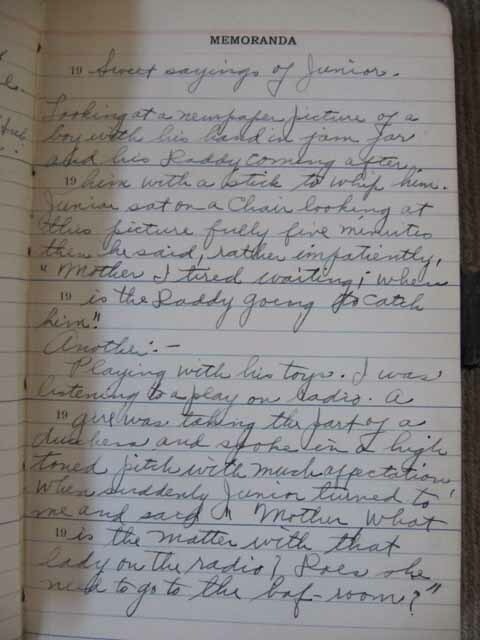 I found her diary at an estate sale which was being held by the family of Anna. I'm not sure why they decided to pass along her diary. Yes, sometimes for some reason or another I will peruse through blog pieces from the past. Some I liked; most are tolerable at best. 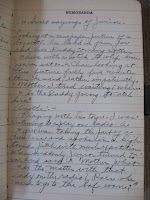 My writing is generally influenced most by how much else is going on - at work and in the family as a whole. That arm surgery has really set me back. The recovery has proven to be much more challenging than I anticipated - more painful and FAR MORE inconvenient than I ever thought. ZERO use of the right hand adds layers of frustration and irritation to my day - especially when it hurts too. I SHOULD just stay home from work and completely rest but that is a waste of good sick leave! I can hurt just as easily at home as I can at work! As for Anna, it was entertaining and educational to read her entries. I wish I knew the back story. As for me? I often write to figure something out for myself. I guess that's where looking back at old posts is useful. It can remind me of discoveries I have made. One of the things that surprised me when I started writing this blog, is how helpful it has been for me. When I write about something that is troubling me, I usually start out thinking I know where I will end up and then I am completely surprised when that unexpected left turn takes me in a completely different direction. I wanted to know more about Anna's back story also. She never "talked" about how her husband died. I am sure she was a recent widow, but she very rarely talked about what that was like for her. You wrote, "The more I write, the more I want to write." That's me. And yes I go back and re-read my old posts, for the simple reason that I can't keep track of all of them, so when I see that one title or another pops up in my stats as having been viewed, I will wonder to myself, what was that all about? So I go and investigate it. I have no idea whether my writing is "good" or not, because I do not write for the purpose of producing quality work; I write from that inner need to express myself. Funny how that works: The more I write, the more I want to write. Thanks, Lynda. I always find something in your posts, with which I can identify.